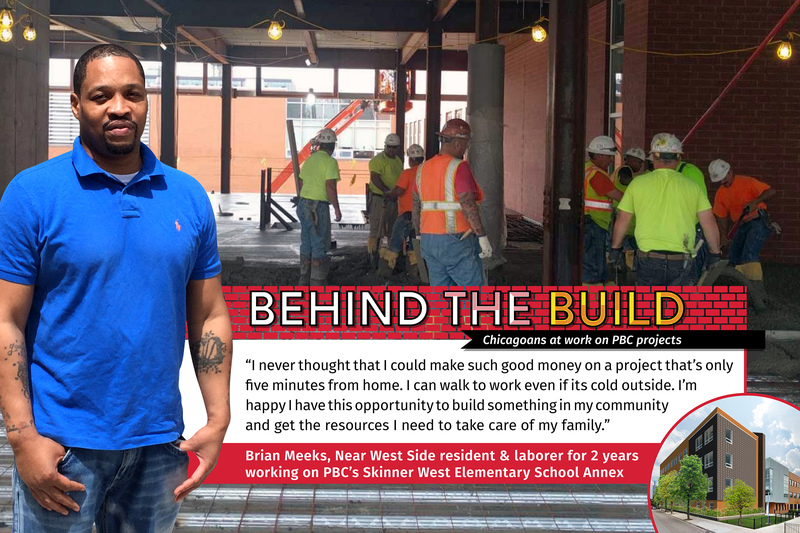 Brian Meeks, a laborer from the Near West Side, worked on PBC’s Skinner West Elementary School annex project. The Public Building Commission is committed to providing residents who live in the community with opportunities to work on the projects being built in their community. The PBC has contract provisions that require a percentage of each project’s labor force to be local residents. 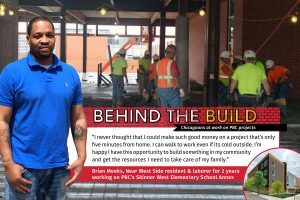 When project’s contract is awarded to a General Contractor, the PBC works with that contractor to establish the number of positions available to the community based on that project’s manpower schedule. Once that number is established, the PBC schedules hiring events to provide experienced community residents with the opportunity to apply for the available jobs. Upcoming community hiring events are listed below.